LinkedIn can be used as a resource for finding jobs, as a tool of communication between members of a group or company, and as a way to develop and manage brand identity. Whether you are a small business owner or in charge of large corporation, a LinkedIn company profile can help bring more awareness to the product, service, or specialty that you are trying to promote. LinkedIn is loved by Google and if you want to manage your search results, LinkedIn is your quickest and best bet. 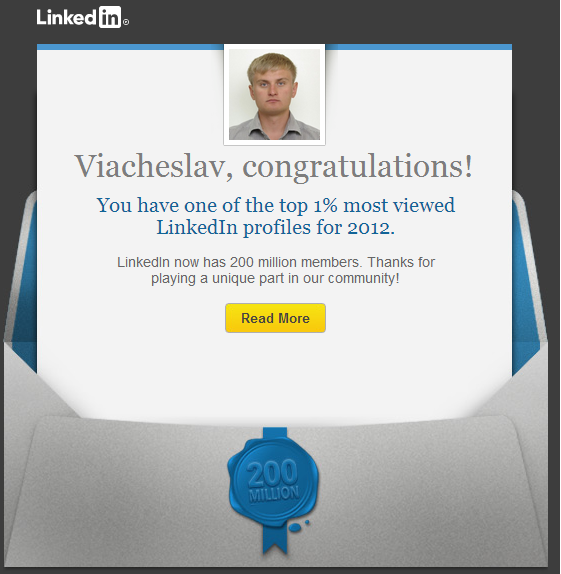 Apart from a few dummy profiles set up by headhunters to find new vacancies, everyone on LinkedIn are themselves. We have our real names, our real pictures and we’re listed under our real employer. 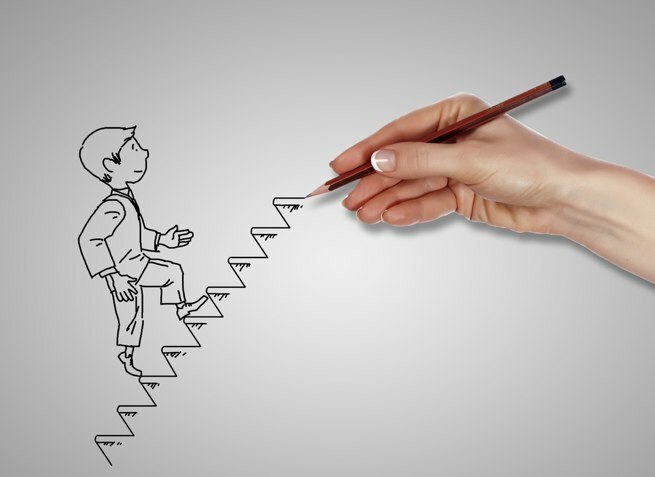 It gives you the opportunity to connect with a company or a person within that company directly - like never before. It's important to keep all experience on LinkedIn and your CV, up to date. By creating a profile on LinkedIn, you will be able to expand your network of connections and communicate with industry professionals to achieve your personal goals, whether that is finding a new job or expanding your business by connecting with new clients. The most powerful concept behind LinkedIn is that it finds the right people AND the connections you have with them. It makes the networks of the people we know visible. 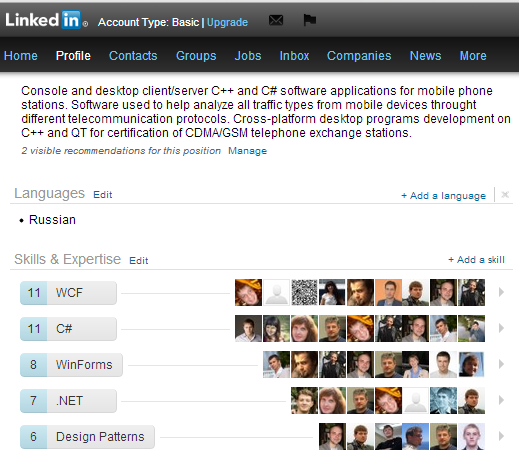 LinkedIn shows us our second and third degree networks and the paths towards them. This has tremendous value. It all begins with creating an account on LinkedIn and learning the various features and functions. 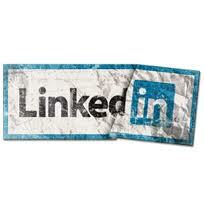 LinkedIn may have 150 million members but only 24% of members are considered active users. This gives you and your sales people an opportunity to establish a foothold while most of your competitors are looking the other way. LinkedIn recently added "Endorsements". What value, if any, do these offer? LinkedIn now allows anyone to endorse anyone for their skills. First of all only if you are a 1st level connection you can endorse the person. So choose 1st level connections properly. Instead of accepting all requests for professional association.It is up to us as individuals to accept endorsements. You may reject the ones which you feel are not right. Also accepted endorsements can be hidden at any time later. 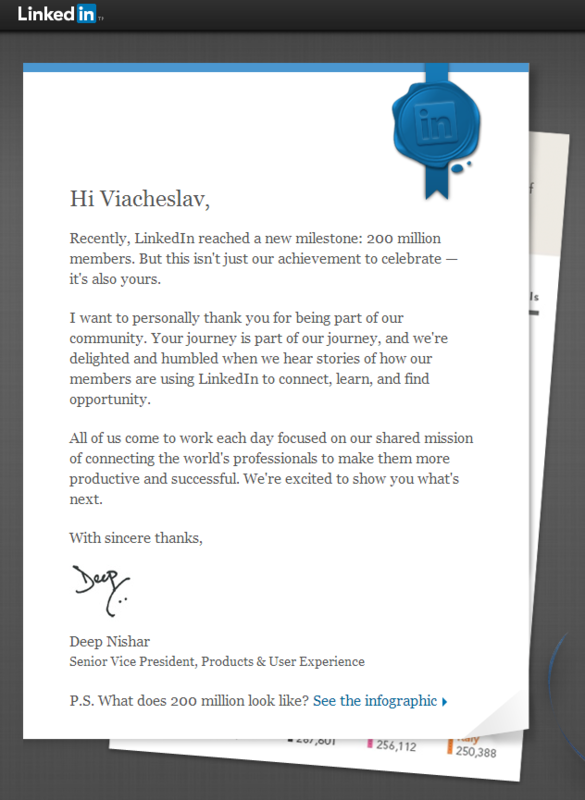 Last, but not least like any system, I guess it depends on how the user chooses to use it, no matter how or what the feature/functionality of the system (Linkedin Endorsement) was intended for. In addition to providing some credibility, this new Endorsement feature can also be considered a networking tool for savvy online marketers, because a LinkedIn endorsement is an easy way to get on someone’s radar. It’s also a way to show you care about the people who work with you. Above all, this LinkedIn Endorsement feature is an easy way to make a little gesture and show recognition to your business connections whom you value the most. With a simple click, the skills you choose to endorse are added to their profile with a thumbnail image of you, the person who endorsed them. If you don’t want to endorse your connection for a particular skill listed in this window, simply click the X on the skill you wish to remove and then click the Endorse button to accept the rest listed. You can also scroll down to where their skills are listed, and simply click on the skill you wish to endorse by clicking on the + sign to add your endorsement to their profile. It’s important to get endorsements, as anyone looking at your profile and comparing you to your competition will see them. Endorsements create an instant overview that is easy to compare with your competition. Obviously, you want to look the best. You also have the option to hide your endorsements from your public profile by clicking on the arrow of the particular skill on the far right, although I am not sure why you would want to do that. At this time, this cannot be reversed. After all, you have the opportunity of not accepting endorsements in the first place if you don’t want them. Your LinkedIn homepage is the go-to place for the most important conversations and articles. Not only can you stay on top of what news is buzzing in your industry, you can also check out professional changes in your network from job changes to work anniversaries and share your congrats right from the homepage stream. Be attractive to the talent you are trying to recruit. Update your status to talk about cool new projects/technologies that you and your team are working on. Highlight projects that you’ve worked on in the past. Include links to your org’s website and career page. 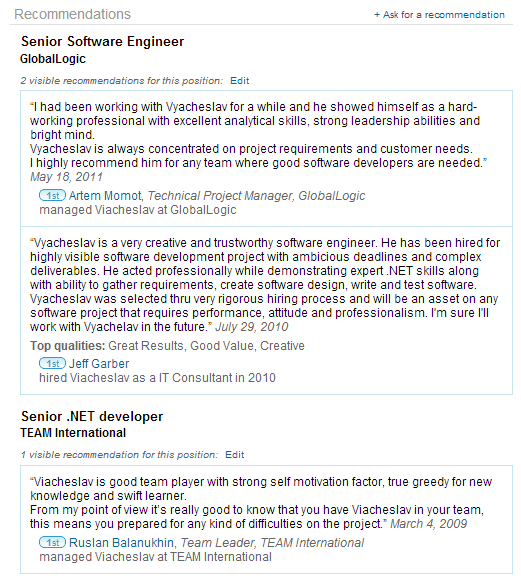 Be detailed in your profile. Use it to sell yourself as a Hiring Manager. Use it to sell your team to job seekers. Announce that you are hiring and what you are hiring for. Add connections which will increase your network and help you stay in touch with your colleagues, customers, and partner professional updates. Import your Outlook address book to quickly find contacts you know that are already on LinkedIn. Update your status to generate buzz about your team’s product/service. Reconnect with colleagues and classmates. You can find past classmates by searching the “Your College Alumni” feature in LinkedIn. You can find past colleagues by using the “Search Companies” feature under the “Companies” tab. Add skills to your profile that are relevant to your brand/area of expertise. Skills act as tags or mini networking sites that will lead talent to your profile page. When you log into your LinkedIn landing page, you will see a section for “People You May Know.” Add these people to your professional network as you see fit. Scroll down to the Experience section and click "Request Recommendations." Make sure to write an individualized request and feel free to suggest which skills or achievements you'd like highlighted. You tooted your own horn when building your profile. Now you can let your colleagues and friends speak on your behalf. This is not the time to be modest! If you have a current resume, simply cut and paste your most impressive accomplishments into the appropriate LinkedIn fields. Make sure to include keywords that a recruiter or hiring manager might be searching for to find someone with your expertise. If you're at a loss for what skills to emphasize, get inspired by looking at profiles of people in the kind of position you would like to achieve. Update your LinkedIn profile now, keep the information on it to a minimum if you are only going to use it on the odd occassion, but ensure it's up to date! Once your profile is up to date and complete, the power of LinkedIn will become more clear to you as you are looking at your friends, colleagues and clients' profiles and learning things about them you never knew! Very first article. Entry point, first steps in blogging, advisory route how to blog.